Kromtech Alliance Corp and ZeoBit LLC have announced that they have entered into a definitive agreement that will allow Kromtech Alliance Corp to acquire the MacKeeper and PCKeeper product lines. The agreement has been approved by the directors of both Kromtech Alliance Corp and ZeoBit LLC and is expected to be finalized in the second quarter of 2013. The acquisition will bring a new focus and direction to the MacKeeper and PCKeeper product lines and offer customers the same level of quality and support that will be provided by Kromtech Alliance Corp. With millions and millions of users, ZeoBit has been a pioneer in developing cleaning, security and optimization software for both the Windows and the Macintosh operating systems. ZeoBit intends to focus primarily on cloud storage technology, research and development. Kromtech Alliance Corp will assume all future developments, support and maintenance of both the MacKeeper and the PcKeeper brands. 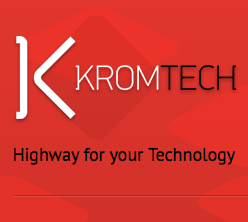 “We share the vision of providing innovative software and products to our customers and we are excited to what the future holds for MacKeeper and PCKeeper ” said a spokesperson for Kromtech. ZeoBit was founded in 2009 by CEO Slava Kolomiychuk and has made impressive progress over the last 4 years by building a multimillion customer user base and gaining the endorsements of many industry leaders. The acquisition is subject to the final approvals and other closing conditions but is expected to be complete by the 2nd quarter of 2013. For further information regarding the acquisition of the MacKeeper and PCKeeper brands and trade names you may contact Kromtech Alliance Corp at Press(at)kromtech(dot)net.